Travelling with your dog can be an unforgettable experience for both you and your pooch, but you need to be well-prepared for the trip and aware of all possible problems and dangers can and often do occur to underprepared pet owners. Here are some useful tips for travelling with your dog from my personal (and recent) travel experience with two of my own pets. Depending on how far and how long you’re going to travel for, the planning phase is key, and preparation for the trip should not be taken lightly. It is the best way to prevent unexpected issues. For example, you should research laws and rules regarding animals, like transportation and quarantine laws and restrictions. There’s a number of resources for this, but a good place to start is USDA list. You should also get a vet checkup before you go on the road, especially if you are travelling by plane or to another state or country. Your vet will issue a health certificate for your dog which might be necessary for him to cross the border. Another thing to prepare for are weather conditions. You need to get a weather report and be prepared for things like rain or snow. These things might slow you down, or you can choose another route if that is possible. You can also pack your dog for those specific conditions. For example, if the weather is going to be cold, you might need some clothes for your pooch as well. Dogs aren’t as patient as we are and travelling for a long time can take a toll on your pooch, so try to schedule regular brakes. A good place to start is Go Pet Friendly site which helps to plan out all trips with pets. When on the road, try to take a rest for 20-30 minutes after every four hours and if you travel by car, you should try to plan your breaks at the locations that are pet-friendly. You could also stop at a park to give your dog a chance to run around for a while and play. Some dogs will need more time to get used to travelling by car and for that reason it is smart to do a test drive for a few hours. 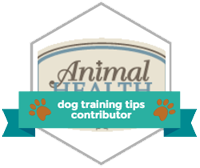 You could even do it for a few days in a row if you want to prepare your dog properly. It is important to pay attention to your dog when you perform a test drive and look for any signs of motion sickness or anxiety. If you notice anything unusual about his mental or physical health, mention it to your vet when you go for the checkup. Airplane travel is one of the most stressful options for travelling with a dog and poses a number of risks for dogs, especially if they must fly in the cargo hold. If you have other options, avoid taking your pooch on the plane. If you do have to travel by plane, you should try to choose a company that allows pets to fly with you and not in the cargo area because that can sometimes be dangerous for your pooch, in addition to being scary and traumatizing. You should also check other pet rules of the company you are flying with. Some air companies will ask you to provide your dog’s health certificate and most of them will require a crate for your pooch. You never know what can happen on a trip. Sometimes, your dog might panic and get lost, in which case it is very important that he has an updated ID tag. Also, you should create a tag specifically for the trip if your dog’s ID has your home phone number. Add your cell phone number when you create this tag, as well as an emergency number of a friend or a family member who lives in the area. You should also consider microchipping your pooch. It is a completely painless process that can put all identification information on a microchip under your dog’s skin, ensuring that his ID information can’t get lost. When you choose a hotel to stay in with your pooch, you need to make sure that it is a dog-friendly hotel. Some dog-friendly hotels in the USA are known to pet owners and have a great reputation. When forgetting about this you risk getting into unpleasant situations with either the staff or other guests. Also, pet-friendly hotels have special facilities that your dog will be able to use and make his stay more comfortable. You might even get some suggestions from the staff about the dog-friendly sports in the area. The most important things to bring with you are food, water and medications. Depending on the type of trip you’re taking, you may need to have a lot of water with you and you need to give it to your dog frequently to keep him hydrated. Bring enough dog food for the entire trip if you don’t know whether you will be able to buy dog food at your destination, especially if your dog is used to the specific kind or quality. Many dogs experience stomach problems when they change their diet and that is why it is best to stick to his regular food and not change anything on the go. You need to bring your dog’s medications and first aid kit. If your pooch has a specific condition, or if he is prone to getting sick easily, you need to bring the necessary medications with you. Consult your vet and ask him what medications you should bring along, especially if your dog is prone to car sickness. You need to take into account the climate of your destination and bring some stuff according to that. For example, if you are going to a place with very cold weather, consider clothes for your pooch. If you plan to walk a lot on your travel, dog booties can be a good idea to protect your dog’s feet. There are also special hiking packs for dogs that allow them to carry their own food and water, which is great if you plan to hike with your dog. You should bring a brush with you since a change in climate, no matter how small, will make your pooch shed more than usual. Bring a LED collar light so you can walk with your dog even when it gets dark. If you are planning to go camping, bring a two-person tent so your dog can stay in it with you for safety reasons. Bring a hands-free leash so you can hike with your pooch without restraints and don’t forget an extra collar. When you travel with your dog, you need to make sure that he will be safe throughout the trip. One of the things is that you should never do is to leave your dog alone in the car. By now, most people know that it’s dangerous for dogs and can lead to suffering or even death, regardless of the temperatures outside. In higher temperatures, even the shortest time in a parked car can cause a heatstroke. You should also make sure that your air conditioning is working properly when you are driving. All dogs must be secured in a car, and some states even have laws for this. Use a kennel or seat belt (only use crash-tested harnesses) to restrain your dog and keep him safe during car travel. Also, you should never open car doors or windows if your dog is not restrained. They can get out and get lost quickly, even if they are well-trained. You can prevent sickness in your dog if you feed him early. That way he won’t eat a few hours before you go on the trip, which can prevent car sickness. You should also take breaks often to walk your dog for a while or he can become restless and anxious. Awesome advice and tips on traveling with your dog. The airplane information we really took note of as we are planing on moving to another county.